The Hoop: Messina to return to CSKA? Back to basics for Ettore. 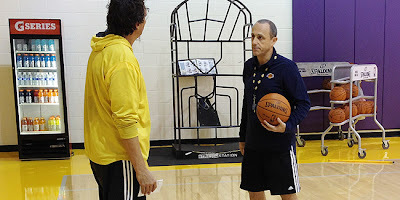 Ettore Messina to CSKA Moscow is confirmed. Sitting here next to Lakers GM Mitch Kupchak. Messina spent the last season at the bench of the LA Lakers as part of the coaching staff. There will possibly be an official announcement from CSKA soon now that it's out in the open.